Rugby league and union player who has won NRL Premierships with the South Sydney Rabbitohs and Brisbane Broncos. 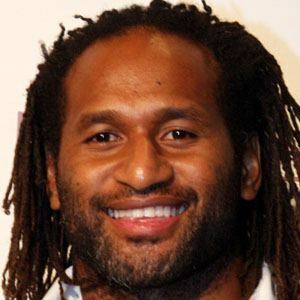 He is of Australian and Fijian descent and has represented both nations at the Rugby World Cup. He was named Rookie of the Year in his first season with the Broncos in 1999. He became the first Australian footballer ever to play rugby league, switch to rugby union, then switch back to rugby league in Test play. He has siblings named Mela, Tevita and Sereana. He won an NRL Premiership with Broncos teammate Tom Burgess in 2014.